Wildman Custom Rods is a family business started in 1987 by Blair Wildman. The business has stayed in the family for over 20 years. With that much experience, you know that when you purchase an affordable custom rod from Wildman Custom Rods you are getting quality that we're proud to put our name on! 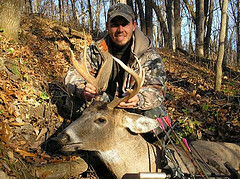 Matt is an avid outdoorsman who enjoys fishing and hunting of all sorts. He has been building custom rods for over 15 years. He takes every chance he can to share that with his wife and two children. 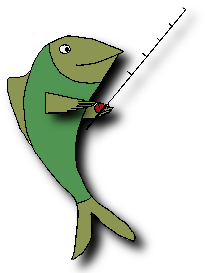 Evening and weekend fishing trips are the norm for Matt and his family in the summer. Matt believes that time spent together as family is very important no matter what you are doing. 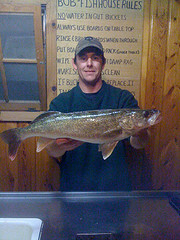 Fishing is one of the ways that Matt's family spends time together, and to him, that's what this whole thing is really all about. Allowing others to share in this is the main goal of Wildman Custom Rods. Ben loves being outdoors. Whether it be trying to find the walleyes in Minnesota or chasing a trophy buck bow hunting in Iowa. Ben has been building affordable custom rods for over ten years himself. Also a family man, Ben loves sharing his outdoor experiences with his wife and two children. Ben has an extra special set of three custom fishing rods he built to be themed for his alma mater, the University of Northern Iowa. Adam has been following his two brothers around for as long as he can remember. It's no surprise that he too enjoys the outdoors. Adam and his wife also enjoy the time that they spend together outdoors, whether it be ice fishing for panfish in Minnesota or floating around the Chain Of Lakes in Illinois searching for bass. 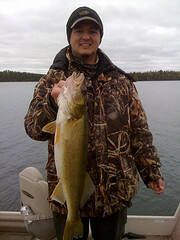 As a professional web developer, Adam has designed and maintains the Wildman Custom Rods site.